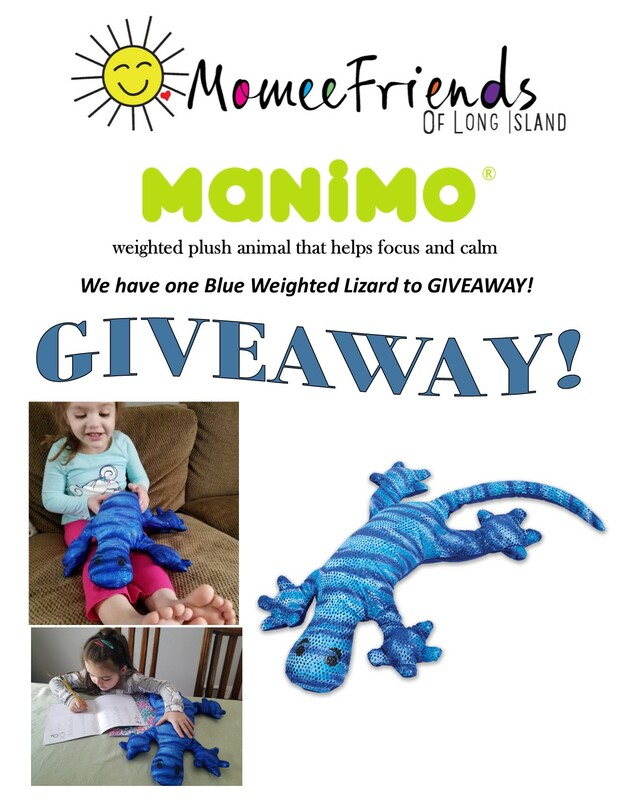 Manimo weighted animals are loving companion pets! They are children’s comforting companion and valuable partners for parents. This product is one of my new favorite toys/ products out right now. I find the weighted companion to be so useful in our day to day lives. Some days are harder than others in our daily routines. 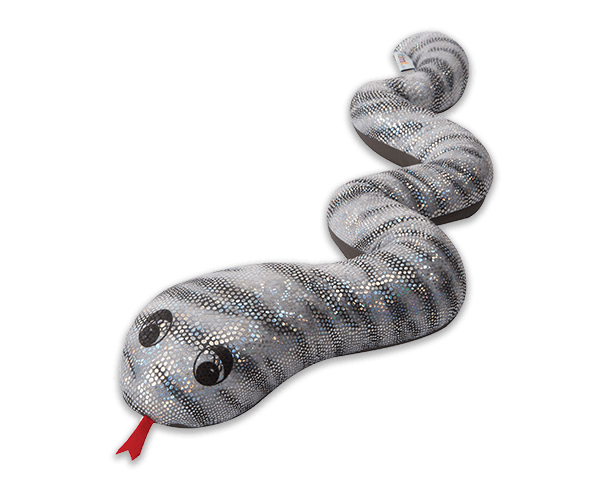 If we are extra tired or are feeling any sort of anxiety our weighted companion, which we named “Speckles” helps us out. For my youngest daughter “Speckles” helps us out in the middle of our day to just relax when we need some much needed down time. 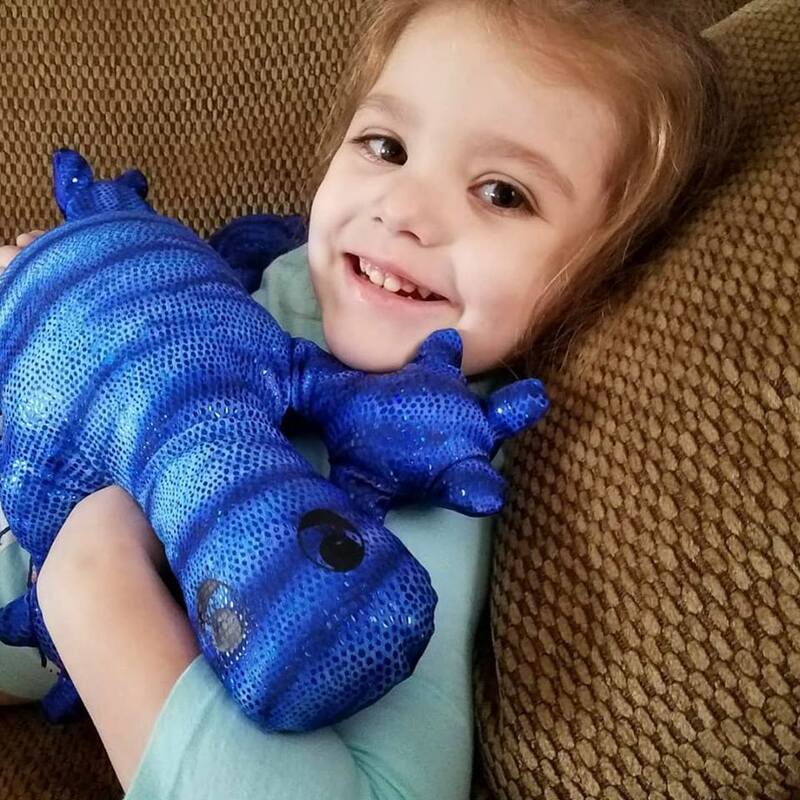 Also, if there is a situation where there is a sensory overload and we need a distraction to relax we grab our weighted companion to help us relax. 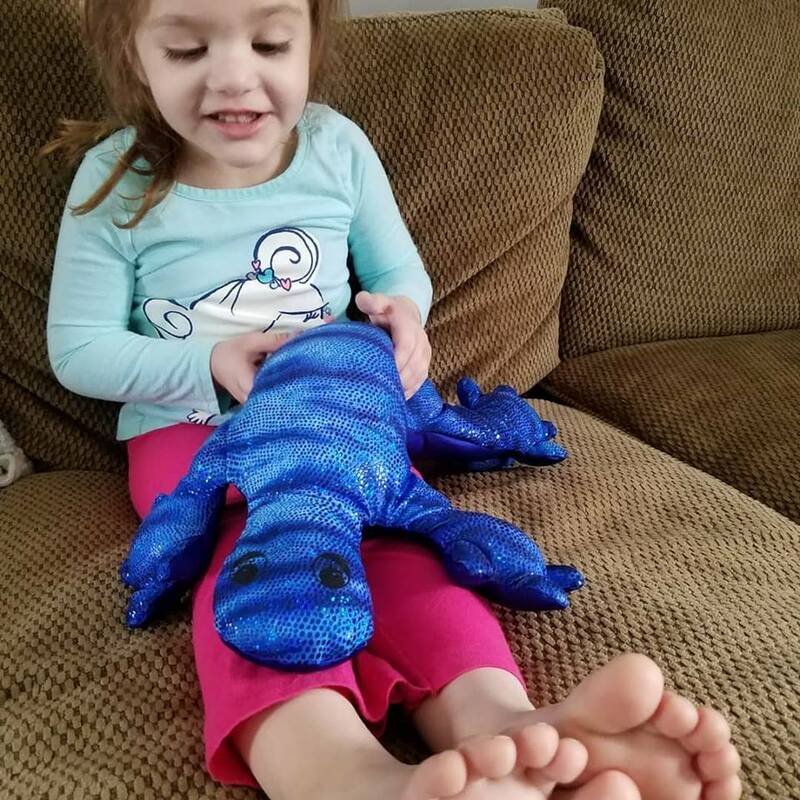 Just putting “Speckles” on our legs and holding him seems to relax my daughter and she truly loves Speckles. She even sleeps with him at night. My oldest daughter gets anxious when she is studying and/ or doing school work. 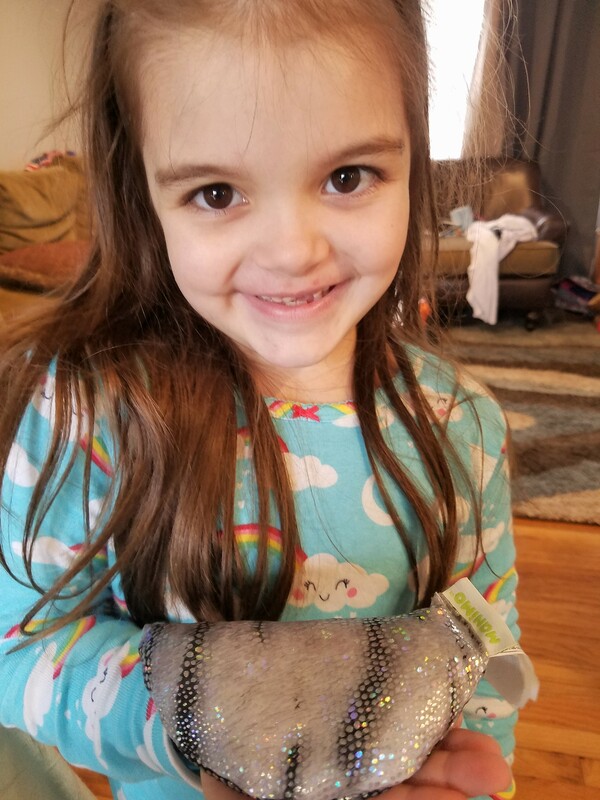 Her sister lets her borrow “Speckles” so she can relax and focus on her work. 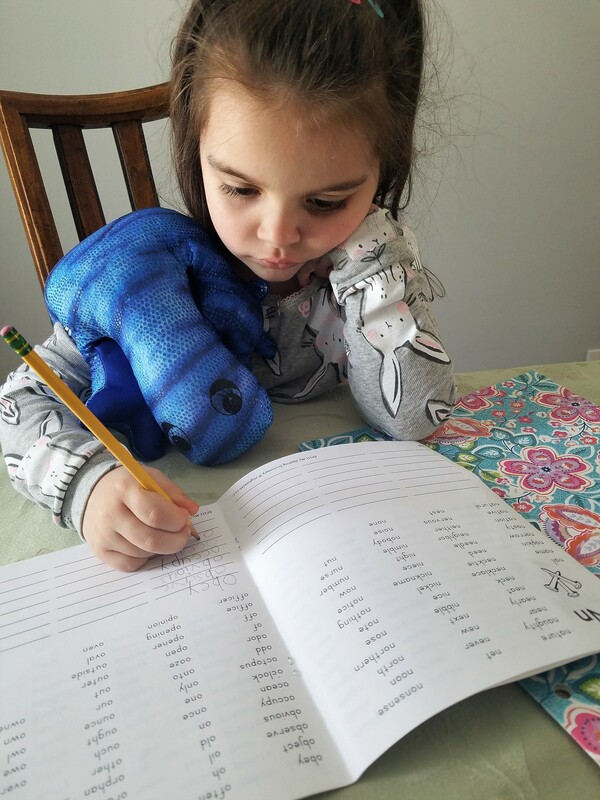 The calming benefits of our weighted companion is evident in less frustration during homework time. 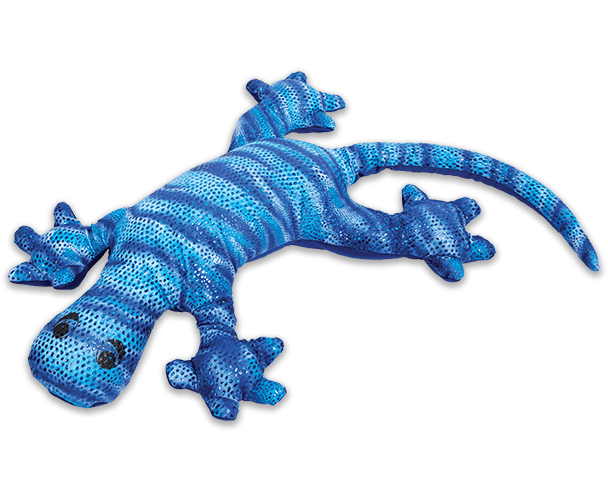 Also, during stressful times “Speckles” brings a sense of calmness and ease. 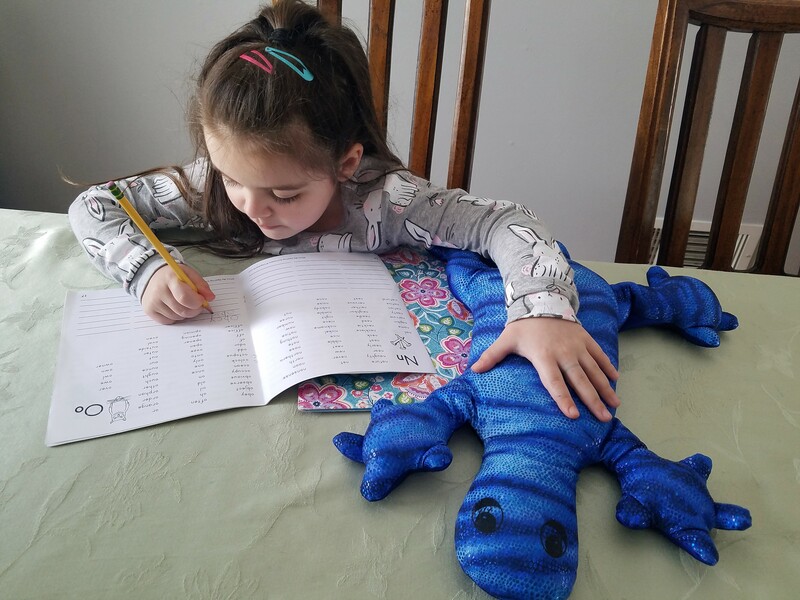 Manimo helps children remain attentive in class, maintains focus for homework, alleviates excess energy or provides the necessary calmness for bedtime. 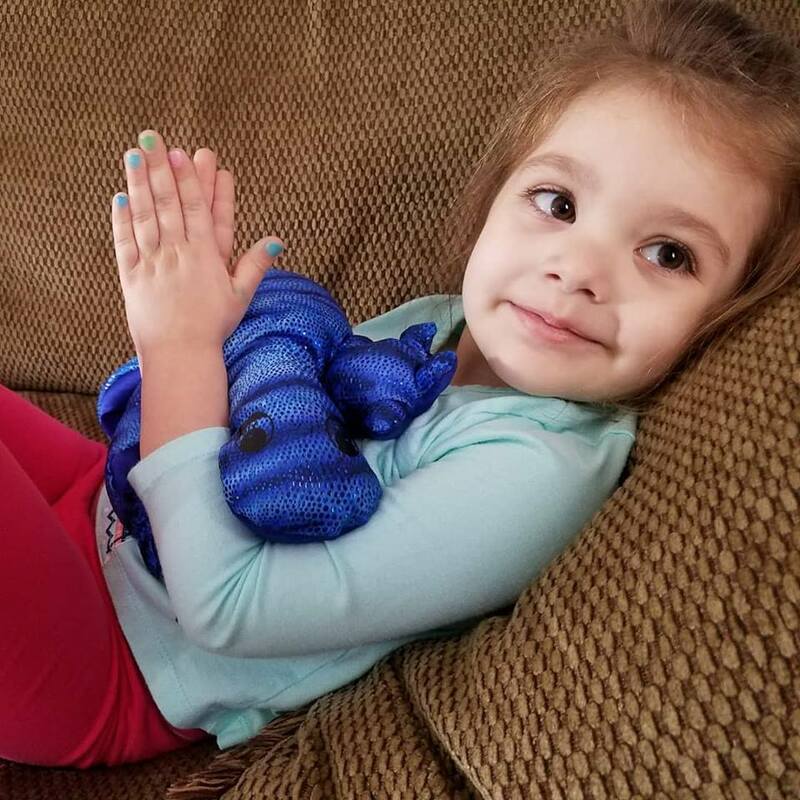 They can also accompany a child during moments of relaxation, develop imagination, or simply be there to hug! 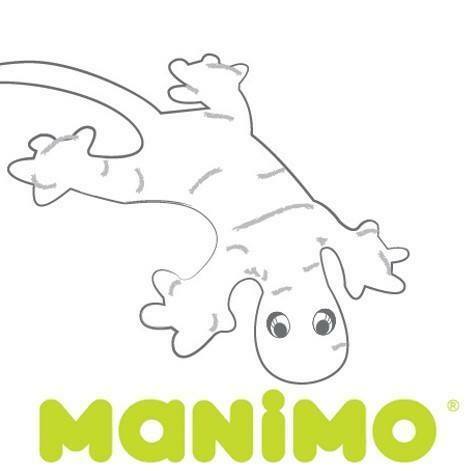 Manimo’s weight ranges from 1 kg to 2.5 kg depending on the type, provides deep pressure to help a child feel where his body is in a space and is relaxing. 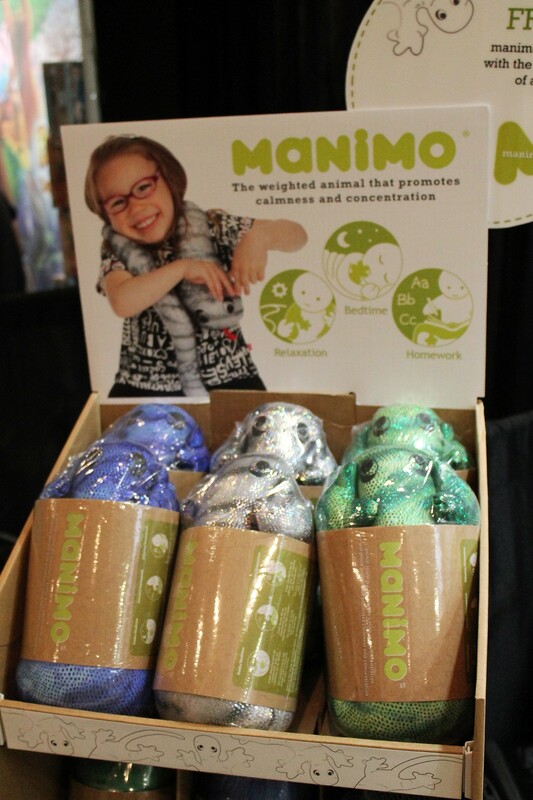 Manimo can be placed as required on the shoulders and around the neck or on the child’s lap depending on the shape of each animal. Due to the animal’s weight, recommended use is 15 – 20 minute periods. For children ages 3 and up. Hand wash in cold water with mild soap, do not twist. Dry flat. 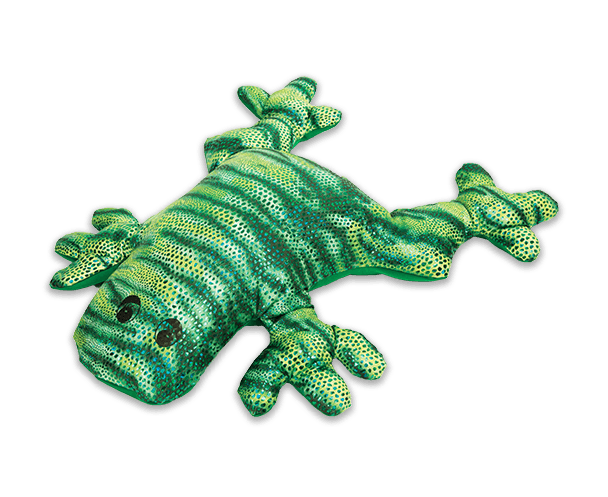 You can also use a protective cover for the lizard and frog from stains, saliva or dirt of any kind. 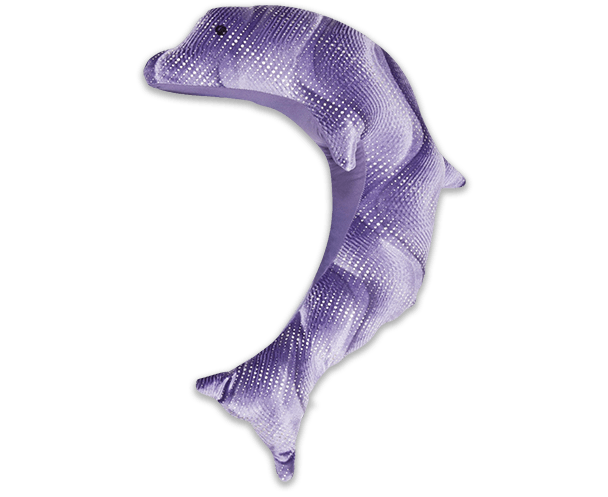 Perfect when your weighted animal is handled by many people, where frequent cleaning is necessary. These stress balls have an awesome texture and make a great fidget toy. Extra tough and durable. The color and texture of this ball will stimulate all your senses, so you can concentrate on a specific task or be attentive during a period of time. Helps reduce stress and improve attention. BUY YOUR FAVORITE COMPANION, TODAY! I met Karine Gagner at the Toy Fair 2018 in NYC this past February. 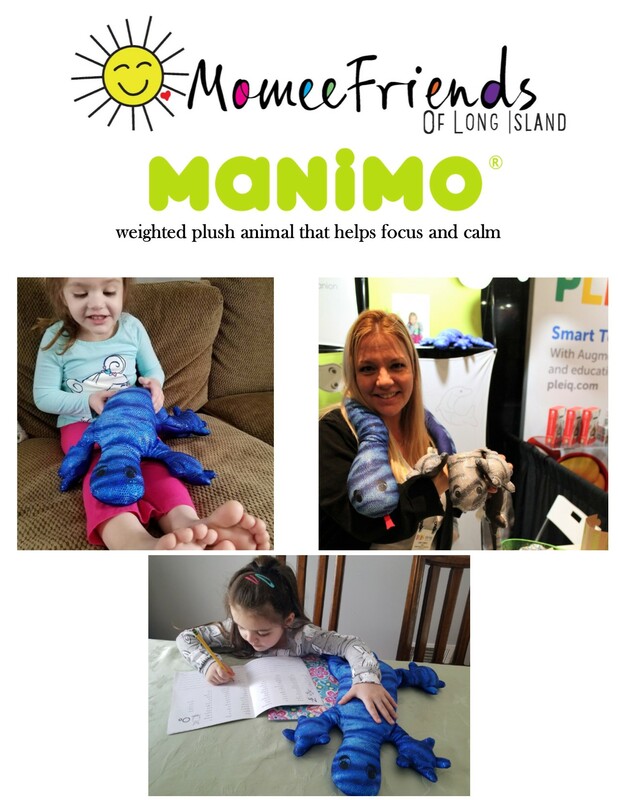 I adored her and her mission as a fellow parent who understands the need for such a wonderful product such as, Manimo. I want to personally thank Karine and the team at Manimo for conceptualizing and bringing this amazing product/ companion to market. 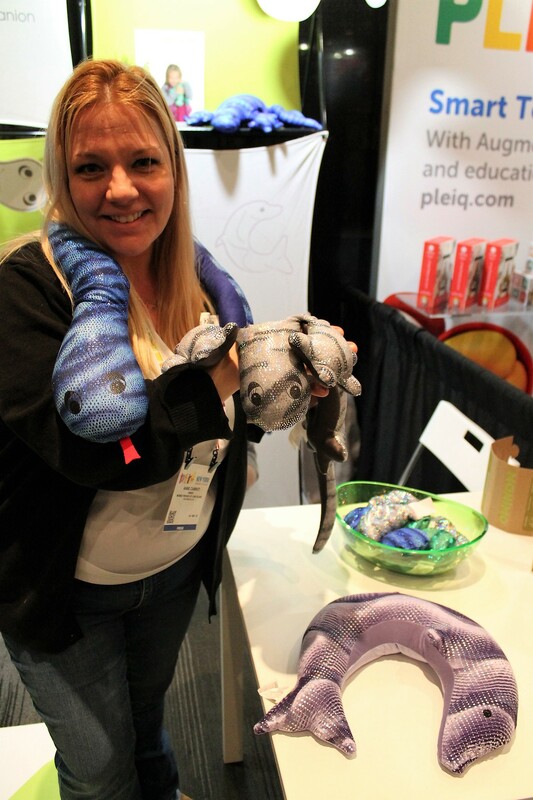 Karine Gagner is the president of fdmt, a company specializing in high quality educational materials and sensory tools. She founded fdmt in 2002 and it has been growing since. Its purpose: to provide a wide range of solutions for all children with learning difficulties or those who struggle to achieve academic success. Her passion and motivation resulted in the most beautiful project of her life: Karine is also the mother of a teenage girl with ASD (Autism Spectrum Disorder). Every day, she works not only for her daughter but for all children and parents who live in difficult situations and need a little boost. Her in-depth knowledge of tools, resources and how to use them wisely has allowed Karine to build a unique Canadian company specializing in helpful tools which are appreciated by parents, teachers, and other professionals working with children. In addition, her ability to teach and impart knowledge makes her a sought after workshop presenter for all kinds of students in occupational therapy or special education settings, to teachers and stakeholders in schools. A symbol of fdmt’s success – many people follows fdmt’s newsletter, which is a promotional tool, but also offers thought-provoking articles, positively and reassuringly written by professionals, about topics that touch the daily reality of children. Finally, fdmt shares daily relevant information on its Facebook page which is followed by 16,000 people. Helping children reach their full potential and supporting parents is Karine’s passion! 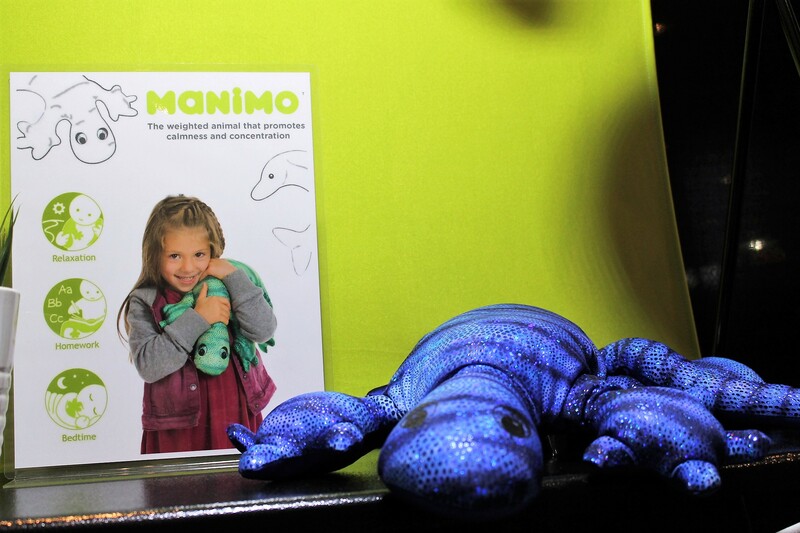 WE HIGHLY RECOMMEND MANIMO and once you purchase your weighted companion I am sure you will be pleased you did, too!